Fathi, M., Honarbakhs, A. (2012). River Channel Change Simulation of Khoshke Rud Farsan River and Bank Erosion Process Using A Numerical Depth Averaged Model, CCHE2D. 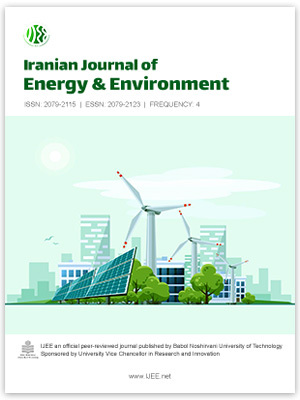 Iranian Journal of Energy and Environment; previously called: Iranica Journal of Energy & Environment, 3(4), -. Mohammad Fathi; Afshin Honarbakhs. "River Channel Change Simulation of Khoshke Rud Farsan River and Bank Erosion Process Using A Numerical Depth Averaged Model, CCHE2D". Iranian Journal of Energy and Environment; previously called: Iranica Journal of Energy & Environment, 3, 4, 2012, -. Fathi, M., Honarbakhs, A. (2012). 'River Channel Change Simulation of Khoshke Rud Farsan River and Bank Erosion Process Using A Numerical Depth Averaged Model, CCHE2D', Iranian Journal of Energy and Environment; previously called: Iranica Journal of Energy & Environment, 3(4), pp. -. Fathi, M., Honarbakhs, A. River Channel Change Simulation of Khoshke Rud Farsan River and Bank Erosion Process Using A Numerical Depth Averaged Model, CCHE2D. Iranian Journal of Energy and Environment; previously called: Iranica Journal of Energy & Environment, 2012; 3(4): -.